Attention Investors!! 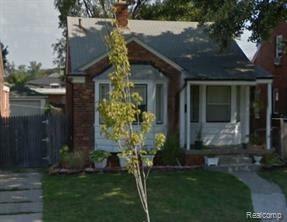 True turn-key property available on quiet block located on Detroit's east side. Fully registered with City of Detroit (including Lead Based Paint & DAH blight clearance). Well maintained 2 bedroom brick ranch with long term tenant that would like to remain in property. Section 8 tenant paying $555 month. Currently being managed by professional company and can be retained if buyer chooses. Please do not disturb tenant.